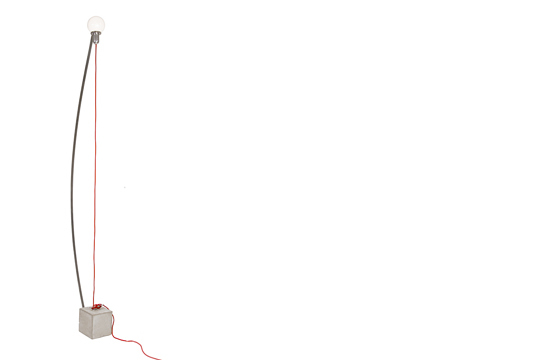 Noam Bar Yohai's Portfolio, Oh Buoy! 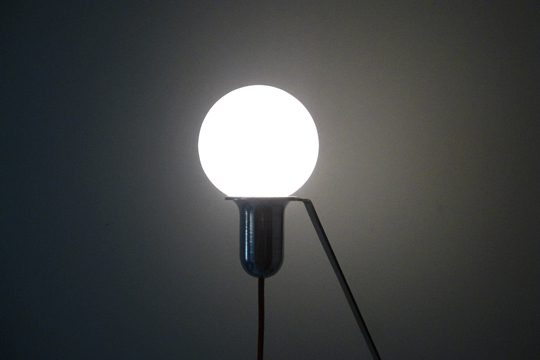 In this floor light, the bulb is held at over two meters high, as a result of a balance between two forces. 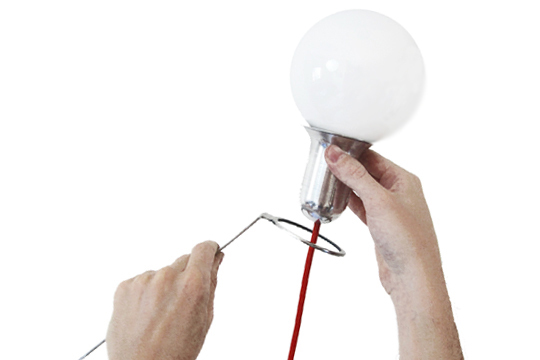 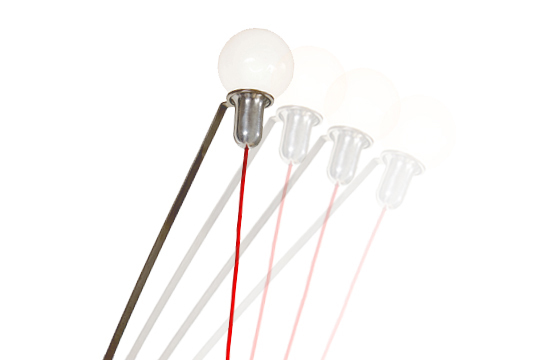 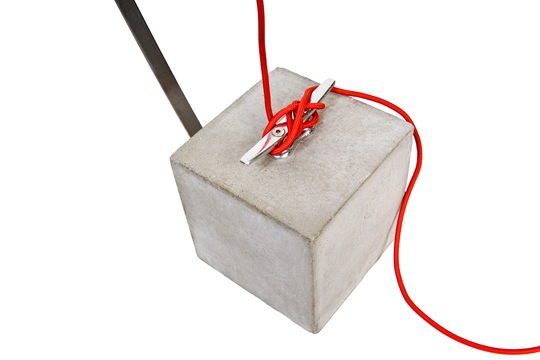 a straight piece of stainless steel forces the bulb to stay up, while the red cable, which doubles as the mains cable, ties it down to the concrete sinker using a marine cleat.